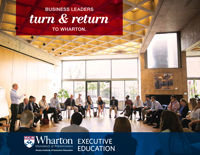 John is a guest lecturer and facilitator within various Wharton Executive Education programs. His practice focuses on building resilient leaders in any industry. John’s great passions in life are working with leaders, experiencing the outdoors, and laughing as much as possible. He is the principal of Kanengieter Consulting Group, a private organizational consulting firm that specializes in executive coaching, leadership and strategy solutions and considers it a down-right privilege to work with the clients and partners in his practice. He holds a Master’s degree in Applied Behavioral Science with an emphasis in Executive Coaching and Consulting in Organizations and specializes in executive coaching and working with teams in challenging and high-risk work systems. He is a keynote speaker, consultant, coach and trusted confidant. His work with leaders is augmented by his expertise gained from 25 years in the field of leadership development and experiential education. 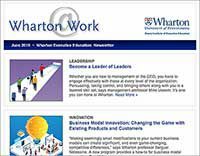 His practice includes clients as individuals, teams, and large organizations with an emphasis on building a system of strong teams focused and aligned on clear strategies. John’s background on extended mountaineering expeditions gives him valuable experience that he now uses in his work. A teacher at heart, John is a principle trainer contracted by NASA to work with International Space Station astronauts in the dynamics of teamwork and leadership on extended space expeditions. He has developed leadership programs for the US Naval Academy, Fortune 50 corporations, government, and individuals in a slew of different industries. For many years, John has served as the Director for Leadership at the National Outdoor Leadership School (NOLS) and also as a visiting instructor to the Ascent Institute, the Jempe Center and the Leadership Institute of Seattle. John lives in Jackson Hole Wyoming where he really enjoys riding his bike as fast as he possibly can.